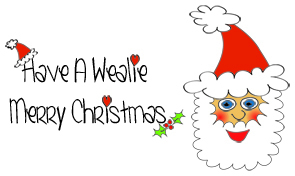 Wishing You a “Wealie” Merry Christmas! A little early I know, but consider this my Christmas card to you, especially if you’re one of my lovely international friends! If you’re lucky you might even get one of my no doubt coveted printed Christmas cards and yes they were completely designed and printed by me! Anyway, back to my animation, I created this little animation playing with my bamboo tablet, Adobe Illustrator and PowerPoint by way of the Windows Live Movie Maker. It’s pretty crude, but then I’ve never claimed to be an animator! Have a Wealie Merry Christmas and a Fab New Year! See you all bright and breezy in 2011. This entry was posted in My Blog, Videos and Animation and tagged A Wealie Merry Christmas Wish, Animated Christmas Card, animation, Christmas 2010, Christmas Message, fun, ruth weal, Snowman, video, Video Christmas Card, wealie, Wishing you a Wealie Merry Christmas. Bookmark the permalink. 2 Responses to Wishing You a “Wealie” Merry Christmas! Hope alls well and that you have a good season . Thanks Nalis – wow Australia, well you made a good move in terms of temperature, it’s very cold here in the UK now. Best of luck in your travels and have a great Christmas break.